Dak Lak (VNA) – The Central Highlands province of Dak Lak has attracted many official development assistance (ODA) and foreign direct investment (FDI) projects as well as non-governmental assistance, including funds from the Republic of Korea (RoK). The provincial Department of Planning and Investment reported that Dak Lak now houses three ODA projects valued at a total 12.5 million USD funded by the Korea International Cooperation Agency. Two other projects worth 47.3 million USD cover food, cosmetics and medicine production and solar power. Dak Lak recently held an investment promotion seminar in the RoK’s Joellabuk province with more than 40 businesses participating. During the seminar, Solarpark Global I&D of the RoK inked a memorandum of understanding with Dak Lak on a solar power project, and asked for the province’s licence to carry out another project worth 45 million USD. RoK firms have also invested in education, water supply and waste collection and treatment in Dak Lak. Such projects have helped the locality improve its infrastructure and reduce poverty, especially in remote, far-flung and ethnic minority-inhabited areas. 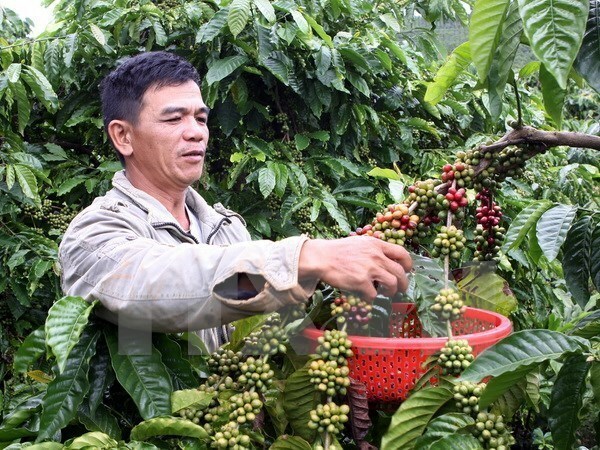 The province wants RoK investments in high-tech agriculture, with priority given to projects in Ea Kpam commune and Ea Pok town in Cu Mgar district, and Ea Tu and Hoa Xuan communes in Buon Ma Thuot city. In the first six months of this year, Dak Lak lured 29 investment projects, with total registered capital exceeding 1.47 trillion VND (64.68 million USD), five more projects and 2.8 times the value year-on-year. The province also attracted one FDI project worth 45 million USD in the period, raising its total FDI projects to 12. The FDI projects came from the UK, Singapore, Japan, the Netherlands, France, Thailand and the RoK. The province has called for more foreign and domestic investment in hi-tech agriculture, processing industry, post-harvest agro-forestry-fishery preservation and large-scale livestock farms in tandem with food processing, renewable energy development and support industry. Dak Lak has offered tax and land incentives for investors, particularly those investing in agriculture and rural areas.